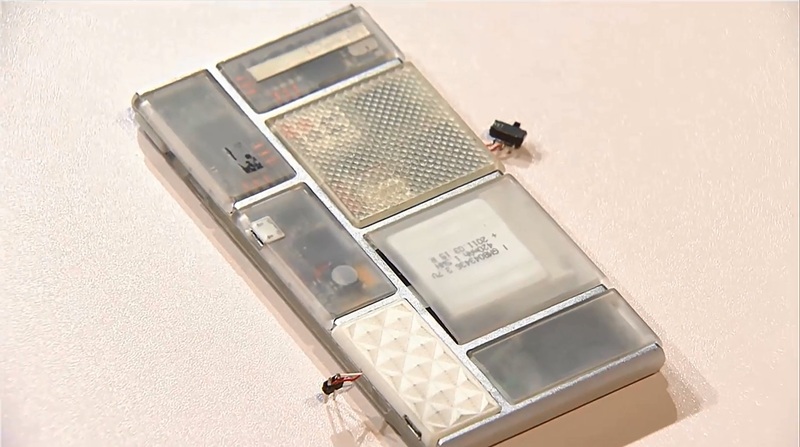 Google has plenty to say about Project Ara even if the modular smartphone can't boot up the Android OS yet. 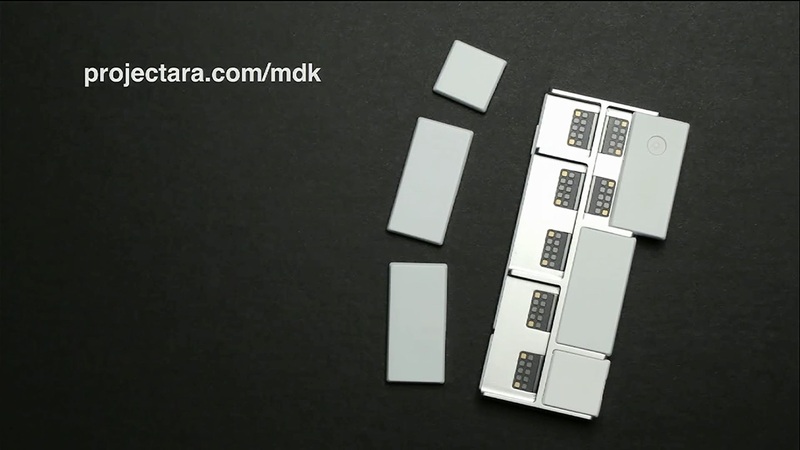 Google has come a long way with Project Ara, a modular smartphone inspired by Phonebloks, since we reported on it in early May. At Google I/O, the annual developer-focused conference, Google's Advanced Technology and Projects (ATAP) group took the form factor prototype off the workbench and attempted to boot it up. While the phone works when tethered to a laboratory bench, at the conference the prototype froze partway through loading the Android desktop. Of course, the phone is an early prototype. Named Spiral 1, the prototype is the first build that actually resembles what Googles hopes will be available for purchase next January. The power switch needs to be physically shorted and the phone itself still looks raw, but the progress is impressive for only nine months of development. There are some other problems the Ara team is tackling. The Android operating system in its current state isn't capable of handling the hotswapping of modules, but this will eventually be addressed. Another issue is the overhead of the modules themselves. Overhead, in this sense, refers to the physical space taken up within each module that enables it to function as a module. The magnets that hold it in place, a processor, and power management currently take up two-thirds of a module, leaving only 30-35% of the space for actual module functionality. By the time the Spiral 2, the next prototype, is finished in October, the team hopes to reduce overhead to about a quarter of a module's physical space, leaving 70-75% for developers. The final goal is to reduce overhead to 10-15%. Leaving the space on the module open for developers is crucial for Ara. 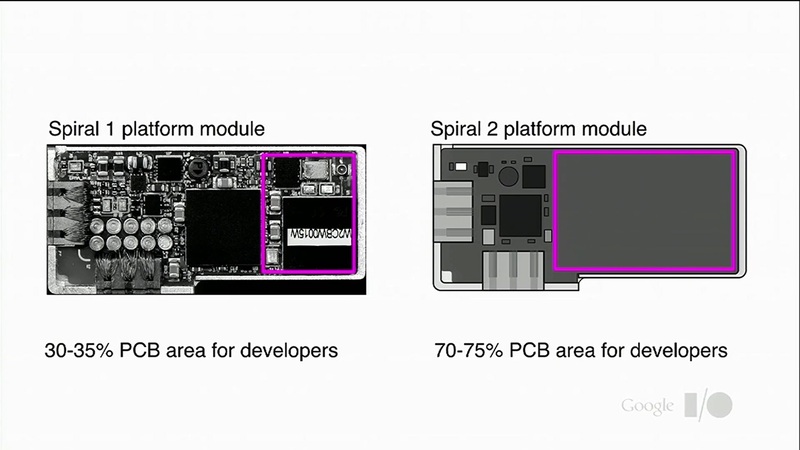 Project chief Paul Eremenko expressed that Ara is the hardware analog of the Android app ecosystem. In order to encourage developers, Eremenko announced the Developer Prize Challenge. Development teams have until September 30th to submit a working module that would be used daily and does something that smartphones today can't do. A grand prize winner will receive $100,000, and this is only "Ara prize challenge #1", implying more contests in the future to encourage module development. So if you know what "MIPI UniPro protocol stack" means (or can figure it out), check out the newly updated Module Developers Kit (MDK). Among other details and technical specifications given during the talk, Eremenko also shared some information about the battery. 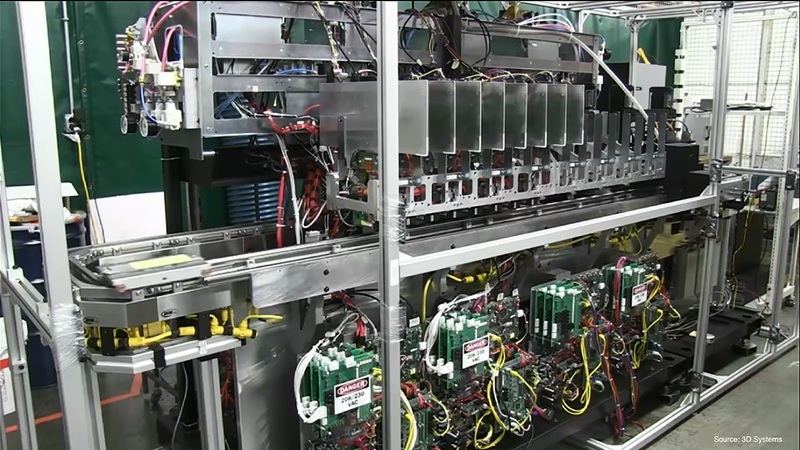 Given advancements in battery chemistries, Ara owners can opt for smaller batteries with three times the density of their lithium-ion counterparts. This will allows users more space for modules, but these smaller batteries have a shorter cycle life, requiring more frequent replacement. 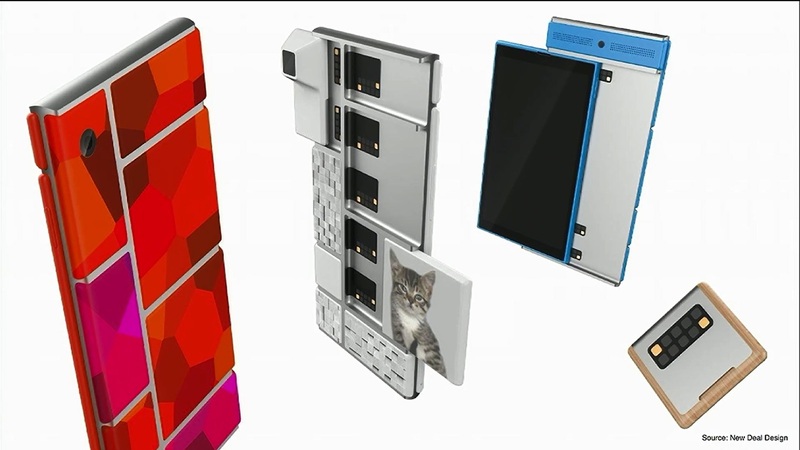 More details are available in the presentation, and it's worth a view if you have been keeping an eye on Project Ara or are excited by the concept of modular smartphones. The Ara presentation starts at about the twenty-three minute mark and last for around twenty minutes. 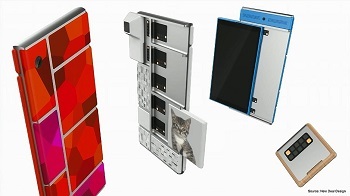 To bring everyone else up to speed, back in September Phonebloks was revealed as a concept phone. The designers recognized that the growing e-waste problem was in large part due to people replacing their phones when a single component was no longer suitable. 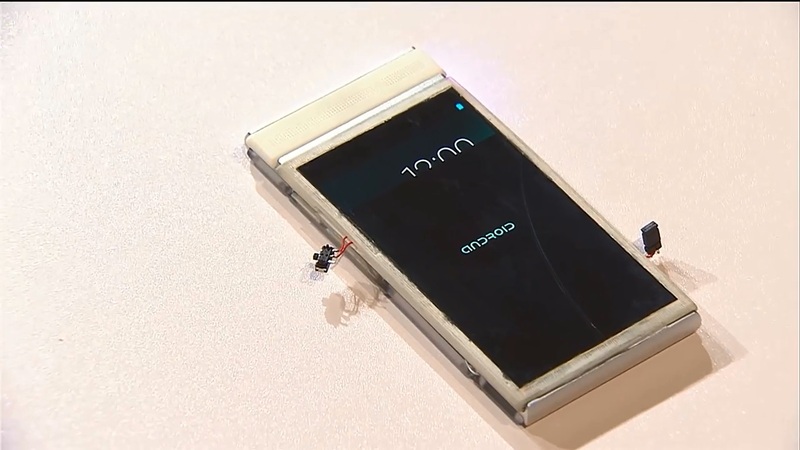 They realized a broken screen or a need for a better camera could be addressed by making smartphones modular. 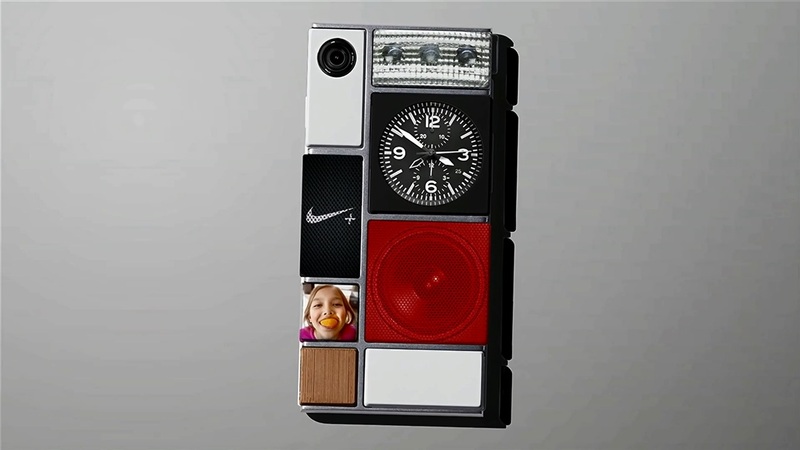 Google was inspired by this concept, and not having the full technical know-how or resources to make this a reality, the people behind Phonebloks helped Google get started on Project Ara. Ara addresses a number of issues such as e-waste and questionable manufacturing processes overseas while enticing new users with exciting new potential in smartphones. 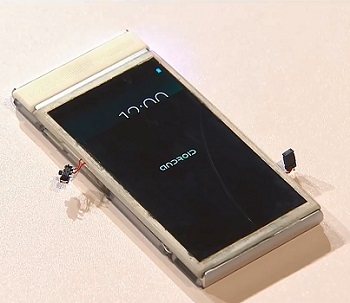 Personalized functionality and appearance and the cool-factor of 3D printed components means Ara can deal with environmental and human rights concerns without being forced to sell the phone as a consumer activist product.